Nothing has ever made me happy than inhaling in my daughter’s breath when she yawns. I wish she never stop. All of a sudden, you have this newborn you have no training for. It’s frightening. No matter how old or how bad a** you think you are, when a toddler hands you their ringing toy phone, you answer it!! If the cuteness of your baby boy had to be summed up in just a few words, they would be – Out of This World. Congratulations. Teaching kids to count is fine, but teaching them what counts is best.Teaching kids to count is fine, but teaching them what counts is best. It’s easier to build up a child from a newborn than it is to repair an adult. Choose your words wisely. The birth process is like an alien horror film scene cast with very young humans playing the part of the aliens being born. Just to let you know we share in the happiness of the beautiful new life you have created! Our love is with your new family. There are only two things a newborn baby will share willingly – communicable diseases and his mother’s age. You never truly know what love is… until the moment you look in you baby’s eyes for the first time… then and there you know love. Congratulations for finally succumbing to the doom of diaper changes and wiping off drools from every nook and corner in your house. A baby’s smile can take away all the day’s tension off a man. Babies were invented to help adults grow up. Every mother is a working mother.Every mother is a working mother. Do not say, ‘It is morning,’ and dismiss it with a name of yesterday. See it for the first time as a newborn baby that has no name. No matter how many years grow by and what they grow up to become, no one else will be able to understand her her baby will better than their mother. Congratulations for becoming one. A baby is one of the most beautiful miracles in life, one of the greatest joys we can every know. In this pocket you will find A teensy, tiny tooth of mine. So while I sleep where dreams are made, Let’s see if you can make a trade. A Godmother is a gift sent from heave above brining kisses and hugs and never ending love. It’s double the giggles and double the grins, and double the trouble, if you’re blessed with twins. 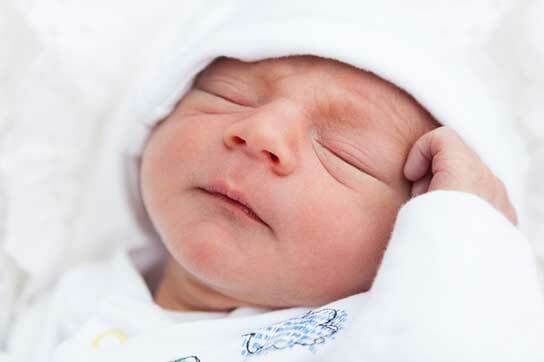 There is only one pretty newborn baby in the world – and every mother has it! Sweet baby girl her baby will are a gift from the lord they are a reward from him. Congratulations to the new parents for entering into the world of constant squeals, nappy changes and late night meals. Step by step the journey goes on Little by little it may seem so long Forget about your past, you can’t change it Forget about your future, you cant predict it Just think about present, you can handle it Enjoy presents every moment & be happy. Babies are bundles from heaven.